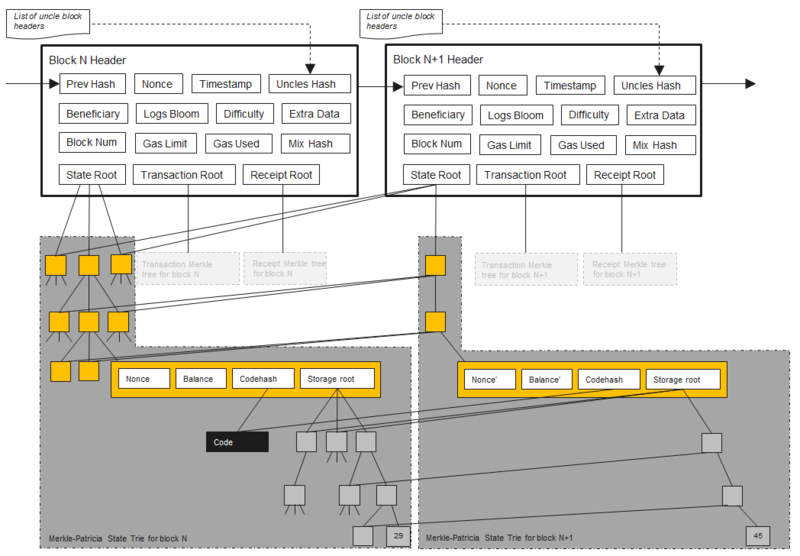 Where can I find a description (preferably a diagram like below) showing the block structure in an Ethereum blockchain? So far so good. All fairly basic. The header field definitions are available in section 4.3 of the yellow paper. 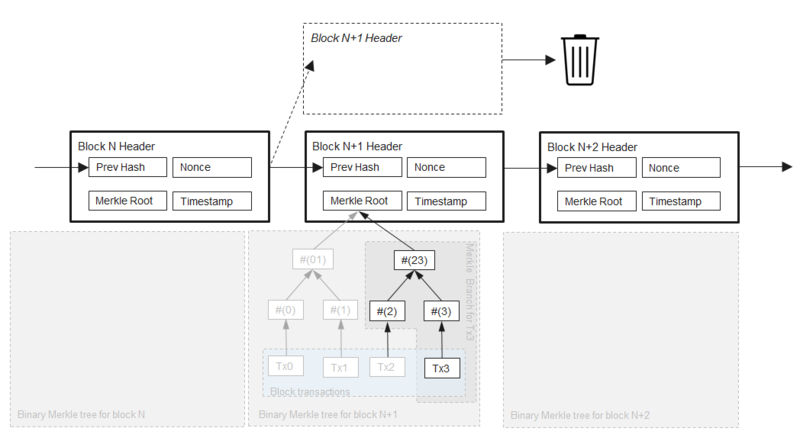 Here is a complete structure of a block and where it plays its role in Ethereum's blockchain. You asked for a diagram but i think this would be more explanatory. The description can be found in the Yellow Paper which is the formal specification of the Ethereum protocol. 4.3. The Block. 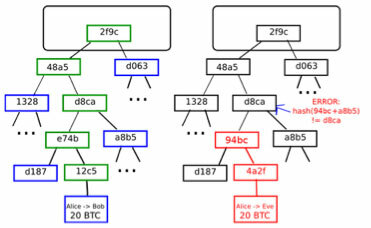 The block in Ethereum is the collection of relevant pieces of information (known as the block header), H, together with information corresponding to the comprised transactions, T, and a set of other block headers U that are known to have a parent equal to the present block’s parent’s parent. No diagram though (an opportunity for the community). 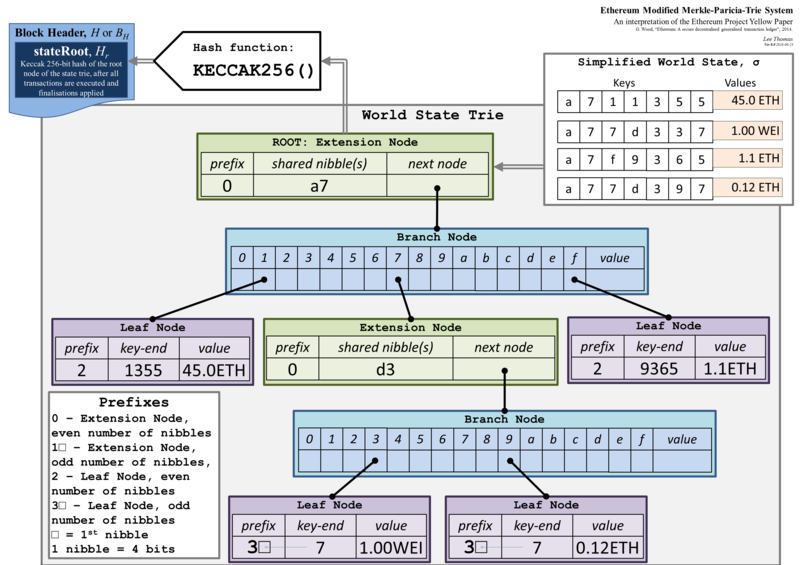 Every block header in Ethereum contains 3 trees for three kinds of objects: Transactions, Receipts (essentially, pieces of data showing the effect of each transaction), State. You can read a longer version with pictures here. Not the answer you're looking for? Browse other questions tagged blockchain block-header state-trie patricia-merkle-tries yellow-paper or ask your own question. What exactly got stored in a ethereum block? What is the exact data structure of each block? 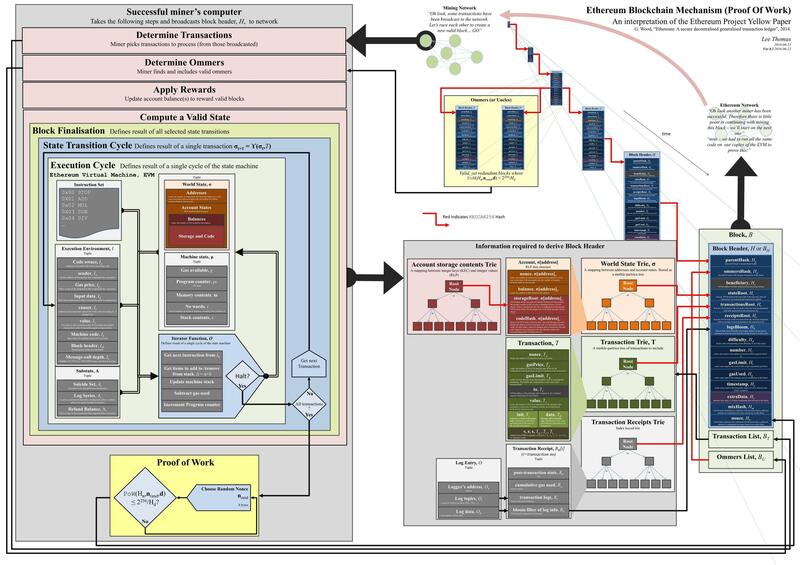 What diagrams exist to illustrate the Ethereum blockchain creation process? Are there any drawbacks of being Turing complete? Can a mined block have an odd number of transactions? If so, how does the Merkle root in that case? Block header structure change under Proof of Stake? Can someone provide a detailed picture of an Ethereum Patricia Tree?